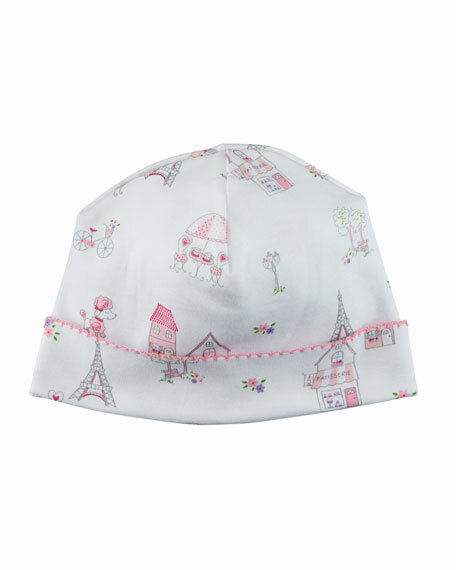 Kissy Kissy baby hat from the Parisian Stroll collection. Rolled brim with scalloped hem. For in-store inquiries, use sku #2640143.